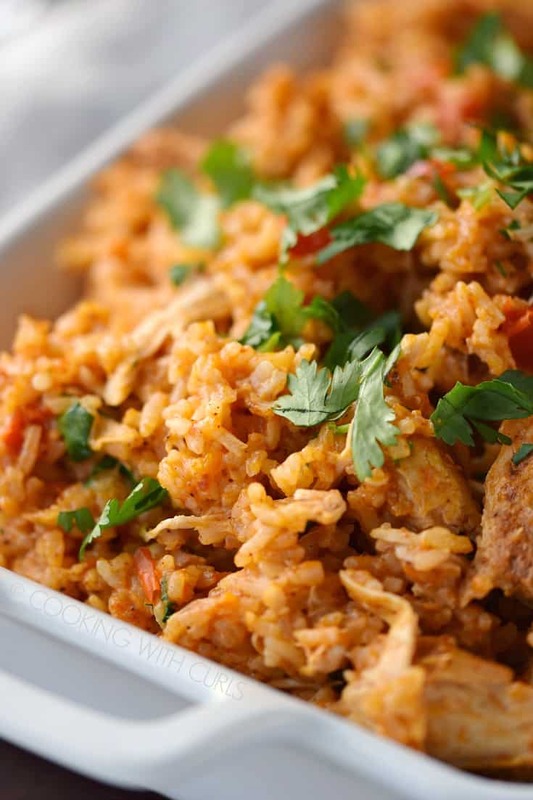 Instant Pot Tandoori Spiced Chicken and Rice is an easy weeknight meal that is packed with flavor and sure to make the entire family happy! Warm, mellow flavors with just a touch of heat mingle with the chicken breasts and rice to create a delicious meal. 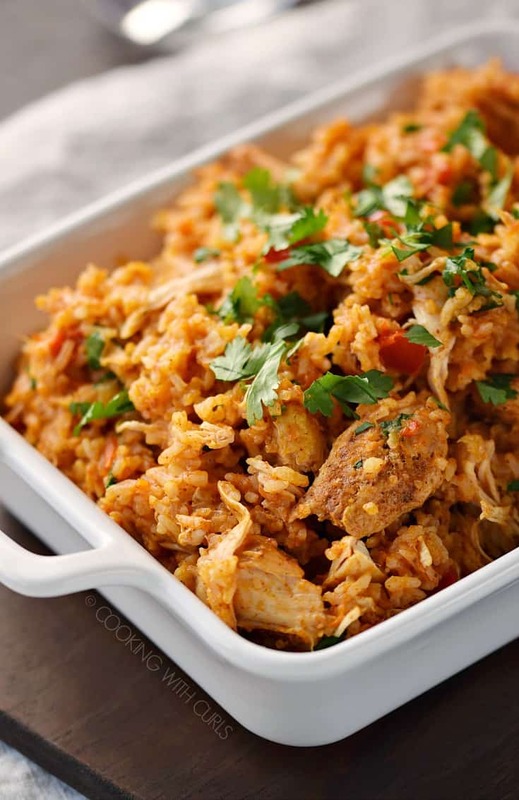 Of course you can always add more heat if you like it spicy…..
How do you make Instant Pot Tandoori Spiced Chicken and Rice? 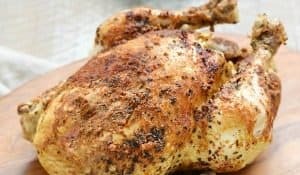 Sprinkle both sides of the chicken breasts with with Tandoori Spice Mix, set aside…..
Plug in your pressure cooker and press the “Saute” button. 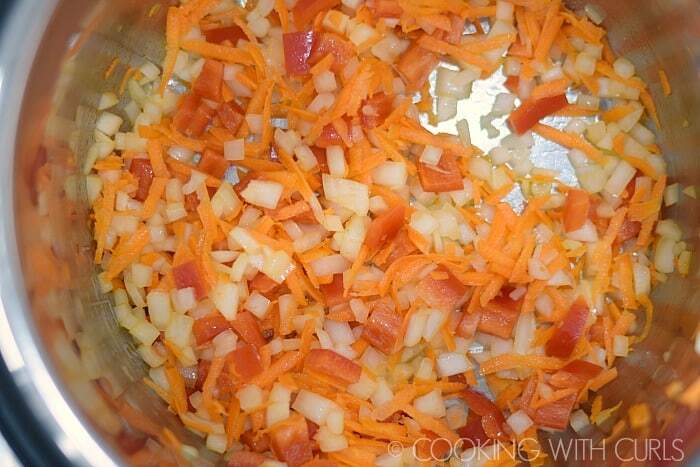 Add the olive oil to the liner when the display reads “HOT”…..
Add the onions, bell pepper, and carrots. Cook until they start to soften, about 3 to 4 minutes…..
Add the garlic, stir and cook for one minute. Pour in the chicken stock and press the “Cancel” button. Scrape the bottom of the liner to remove any browned bits. Place the chicken breasts in the pot…..
Add the rice and tomato paste/stock mixture…..
Seal the lid and check to make sure the knob is in the “Sealing” position. Press the “Manual” button, check to make sure it is High Pressure, and adjust the time to 8 minutes using the + and – buttons….. When the pressure cooker beeps, allow the pressure to release naturally for 10 minutes. Turn the knob to manually release any remaining pressure….. 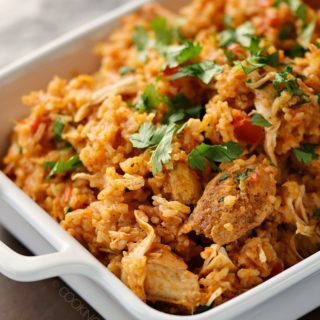 Carefully remove the lid and “toss” the chicken and rice together to mix and break apart the chicken a bit…..
Add the cilantro and lemon juice, stir to combine. Serve with additional cilantro and lemon wedges…..
Greek yogurt is a great topping as well, especially if it has too much heat! I chose to break apart the chicken and leave it in big chunks. Remove the chicken breasts and shred with two forks if you prefer smaller bites of chicken. I used red bell pepper, but green or yellow would also work. If you do not wish to make your own Tandoori Spice Mix, you can purchase a spice blend at an Asian market or on Amazon. 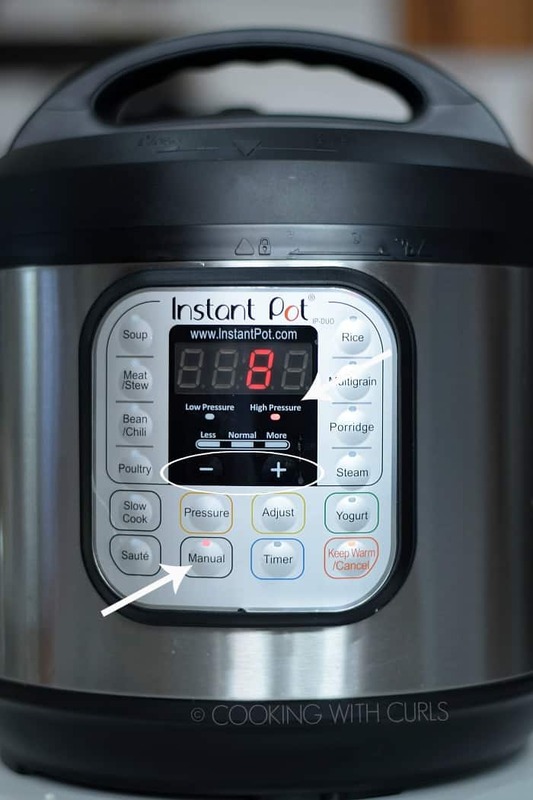 All of my recipes are made with a 6 quart Instant Pot. 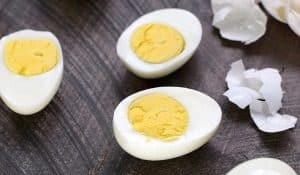 I do not own a 3 or 8 quart so I have not tried these recipes using smaller or larger amounts. This recipe should work in any brand of pressure cooker, but your buttons/settings may be different. Cooking times should be the same. 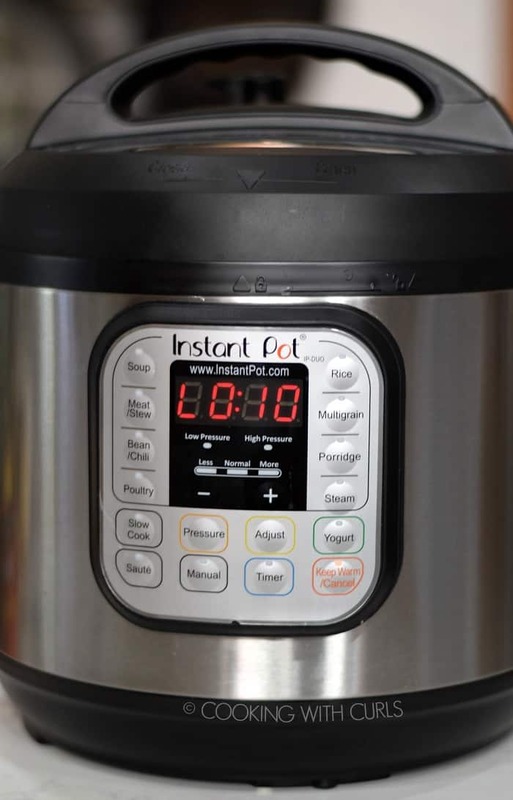 Here are some additional Instant Pot meals that your family will love! 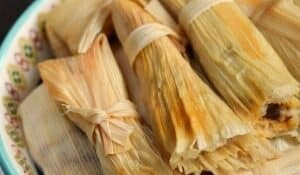 Mexican Style Shredded Beef – for tacos, burritos, and chimichangas! Instant Pot Lasagna – in case you something other than Mexican food. 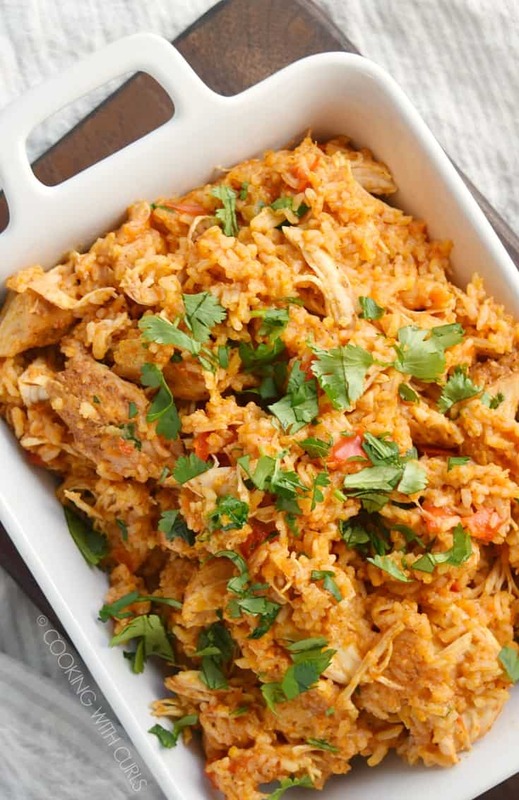 Instant Pot Tandoori Spiced Chicken and Rice is an easy weeknight meal that is packed with flavor and sure to make the entire family happy! 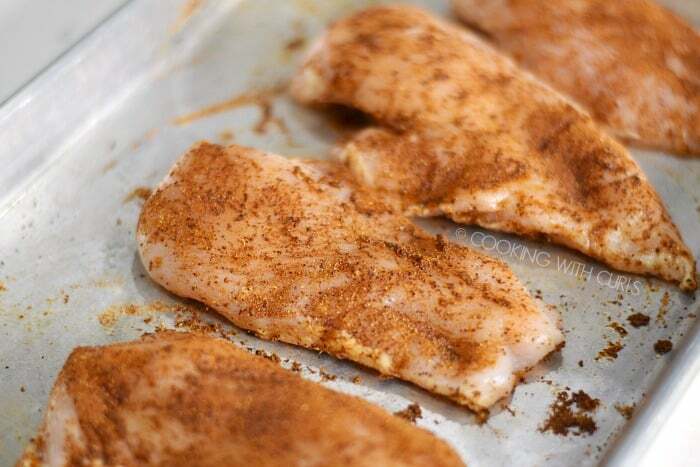 Sprinkle both sides of the chicken breasts with with Tandoori Spice Mix, set aside. 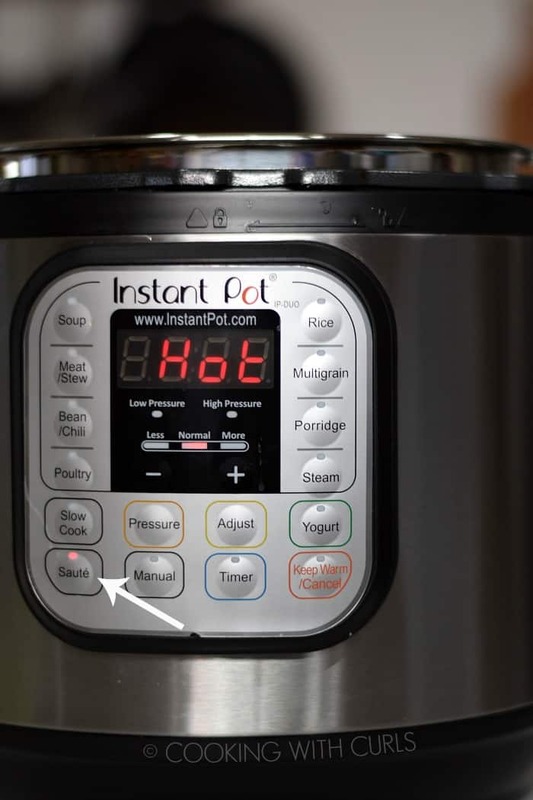 Plug in your pressure cooker and press the “Saute” button. Add the olive oil to the liner when the display reads “HOT”. Add the onions, bell pepper, and carrots. Cook until they start to soften, about 3 to 4 minutes. Add the garlic, stir and cook for one minute. Pour in 3/4 cup of chicken stock and press the “Cancel” button. Scrape the bottom of the liner to remove any browned bits. 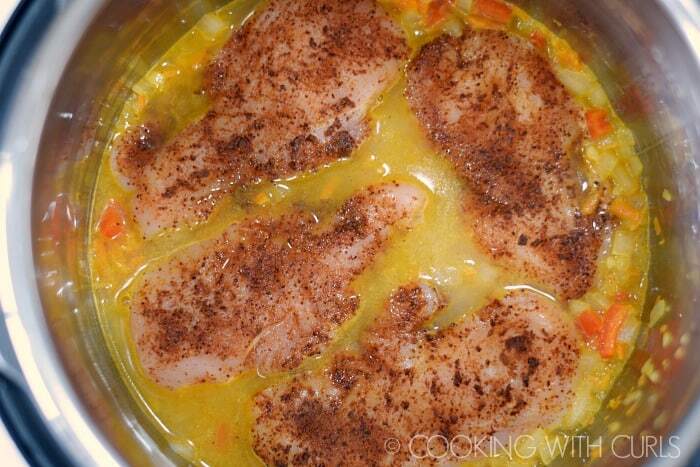 Place the chicken breasts in the pot. 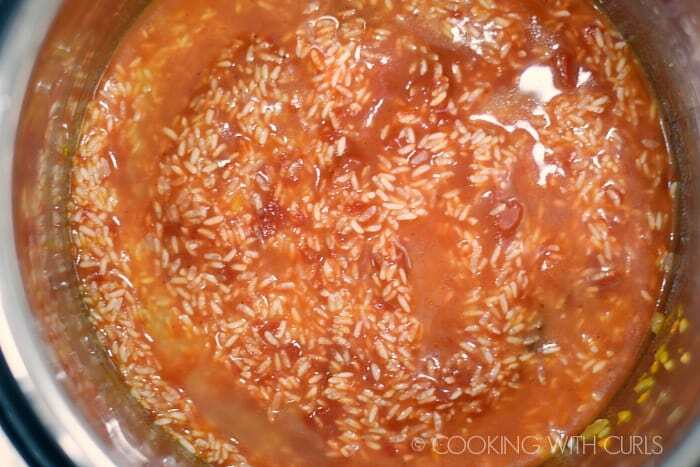 Add the rice and tomato paste/stock mixture. Stir the rice to make sure it is covered with liquid. Seal the lid and check to make sure the knob is in the “Sealing” position. Press the “Manual” button, check to make sure it is High Pressure, and adjust the time to 8 minutes using the + and – buttons. 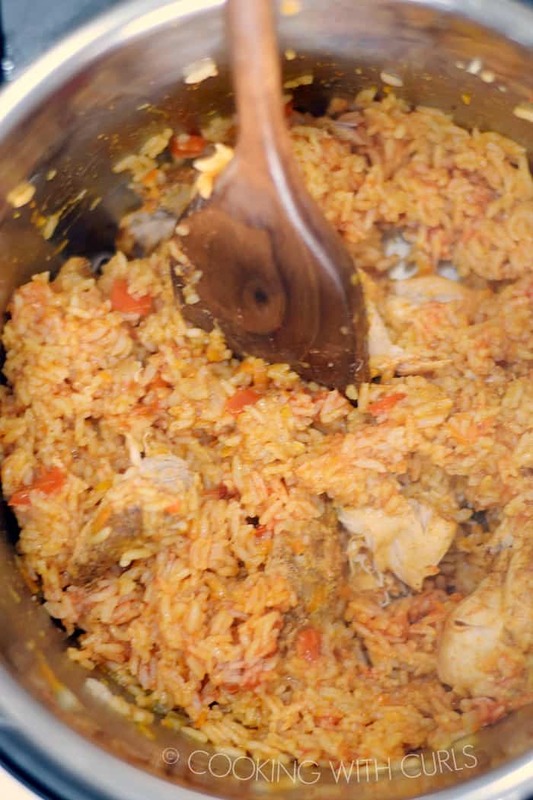 Carefully remove the lid and “toss” the chicken and rice together to mix and break apart the chicken a bit. Serve with additional cilantro and lemon wedges. Greek yogurt is a great topping as well, especially if it has too much heat!